Follow us into the future. Beneath the flashy homepages of your favorite sites lurk Hooli™ and other evil corporations out to hoard and sell your most personal data. What was built to be the ultimate platform for the free sharing of knowledge has turned into a money-hungry monster feasting on our privacy and freedom. An autonomous peer-to-peer network featuring distributed storage powered by universal compression, accelerated scheduling allocation, and end-to-end encryption. Put even simpler — it’s the internet, completely decentralized. We’re in this together! All of our computers and phones join in a network to make the strongest supercomputer the world has ever seen. Powering the economy of a new decentralized internet. Pied Piper's new internet is built for users, by users. You supply the storage, compute, and networking resources that power our entire decentralized web. Now there's a way to give credit where credit is due. Compute credit, that is! The more you share your device resources, the more PiedPiperCoin you receive. Whether you're a developer with an app ready for market, or just an Average Joe with a smartphone you'll love all you can do with PiedPiperCoin. The more users that join our network, the more powerful it grows, and the better our world becomes. Available now, don’t miss out! Adding new content? Use PiedPiperCoin to store your data across thousands of devices, making it quick and easy to access. Need the horsepower to run a complex app service? Use PiedPiperCoin to ensure all new HPC run as smooth as ever. Need bandwidth to meet growing demand? Use PiedPiperCoin to provide scaling and load balancing. Running out of storage? Use PiedPiperCoin to both free up space on your device and gain quicker access to all your files. Experiencing slowdowns on your phone? Use PiedPiperCoin to boost your device’s performance across all applications. Tired of long loading times? Use PiedPiperCoin to speed up connectivity. Faster: Using our network of computers and smartphones, we can divide your jobs among thousands of nodes to scale. Cheaper: Because our network is autonomous, our operation costs are minimal, allowing us to offer the most affordable services on the market. More Secure: As our nodes are distributed across thousands of devices, we’re not prone to a single point of failure. Thirsting to know more about how PiedPiperCoin fits into the evolution of currency? You deserve an internet that rewards you for your contributions. You deserve PiperNet. Only Pied Piper has the necessary tools to build the internet of the future, today. These developers are already experiencing the benefits of Pied Piper's decentralized functionality suite. We’ve accumulated nearly all of the world’s knowledge online, but we forget how much of that data is personal. Today’s Web is dominated by Hooli and a handful of other tech companies that have built their fortunes tracking massive amounts of our data — photos, status updates, location check-ins, web cookies, and more. So the question becomes: What do these tech companies do with all of this personal information? So as not to violate several NDAs I was forced to sign upon my exit from Hooli, I can only speak generally: It’s not pretty. They exploit your online activity and preferences for profit. They sell your data to advertisers. You become the product. That’s why we at Pied Piper are building a decentralized internet — one which takes power from these megacorporations and gives it back to you, the netizens. Hello, readers! I apologize for not posting for a couple of months — we had quite a grim stretch here at Fort Piper. Our user growth had stalled and morale was low. 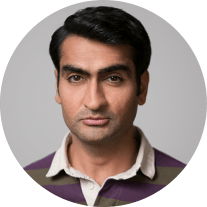 But just as we were about to give up hope, Dinesh discovered an uptick in new users! Things seemed to be trending up, but then as most inexplicably good things turn out to be, it was an attack. Laurie Bream and a Chinese businessman named Yao were scaling our walls, manufacturing our devices in order to take over fifty-one percent of the Pipernet. Our independence was in peril, and this battle was our American Revolution. I’m no David McCullough, but I’ll do my best to narrate. 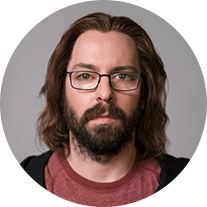 Gilfoyle did his best to pour the hot oil of a network patch on the tyrants, while Holden rallied the troops with the snare drum of his unbridled Piper spirit. Still, it became clear to our commanding officer General Hendricks that we needed back up – so Richard struck a deal with a cutthroat, Gavin Belson. After seemingly eliminating the Laurie and Yao threat in the name of innovation and revenge, Gavin sank his blood-soaked fangs into Richard’s soft pale throat. But what Gavin didn’t know was that Dinesh and I were working on reinforcing the ramparts of Fort Piper with Colin and his arsenal of instant downloads. Colin’s users came charging across the battlefield and, just in time, beat back Gavin! Huzzah! Fort Piper stands! Now that the battle is over and the ugliness of the 51% attack is behind us, we look to the future. The Piper Gang has proven its resilience, and earned a place at the Valley’s table. The first stop may have to be new offices at the top of the hill. As for me, this adrenaline isn’t going to go away on its own. I have some verbena candles to light! Before Pied Piper envisioned a new internet, it was a simple app to detect infringement of music copyrights – a side project of lowly Hooli employee Richard Hendricks. But buried within this consumer-facing service was something much more valuable: a world-beating compression algorithm. Once others caught wind of the promise of his algorithm, Richard found himself in the middle of a bidding war between two of the Valley’s major players. Hooli CEO Gavin Belson pounced with a ten million dollar acquisition offer, while VC Peter Gregory offered a $200,000 seed round to start a new company. The stress of the decision took a physical toll on Richard, but in the end he picked Gregory and the power to see his tech through to its fullest potential. 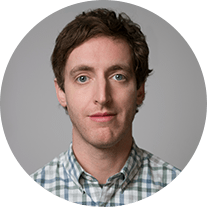 With the backing of Gregory’s fund Raviga, Hendricks assembled his team: Dinesh Chugtai, Bertram Gilfoyle, and Jared Dunn, all working together out of Erlich Bachman’s incubator. The company’s first great test came at TechCrunch Disrupt. After a challenge from Hooli’s compression competitor Nucleus, Richard pulled an all-nighter to invent a new approach to compression: middle-out. In the finals of the competition, Richard’s middle-out algorithm surpassed the theoretical limit and achieved the highest Weissman score ever recorded. Pied Piper took first place at Disrupt. Pied Piper’s moment of triumph didn’t last long. Their champion Peter Gregory passed away and Gavin Belson slapped the team with a massive lawsuit, rendering them damaged goods to all potential investors. Fortunately, Richard came across Russ Hanneman, the one man in the Valley who didn’t wince at impending litigation. After a string of failed deals with energy drink Homicide and adult content producer Intersite, a condor egg live stream changed everything. The feed of the egg went viral when a camera technician fell forty feet into a ravine, and Pied Piper’s durability under the traffic proved the strength of the tech. 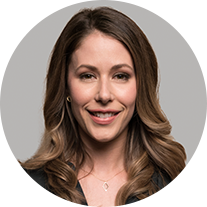 The good news seemed to continue from there: Pied Piper defeated Gavin’s frivolous lawsuit, and Raviga’s new head VC Laurie Bream bought Hanneman out of Pied Piper. But the celebration didn’t last long – Bream swiftly used her power to remove Richard from his position as CEO. Richard was repositioned to CTO, and was replaced by exec-for-hire “Action” Jack Barker. After an unsuccessful attempt to pivot Pied Piper to building data storage boxes, Barker too fell victim to Laurie’s axe, and Richard was restored to the CEO chair. Under Richard’s leadership, the team launched the beta of their much-anticipated platform. However, the public response was one of confusion – they were ahead of their time. Bream fire-sold the company to Bachmanity, Erlich Bachman and Nelson Bighetti Jr.’s venture fund. And while the platform had floundered, the compression algorithm found a successful new home in a video chat app hacked by Dinesh. 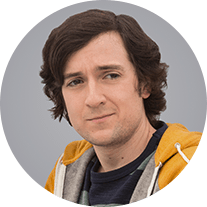 Despite being in full control of Pied Piper for the first time since its inception, Richard found himself uninspired by what he was building. To Richard, PiperChat was a trivial application of his revolutionary middle-out compression algorithm. So Richard left Pied Piper to tackle a brave new venture: launching a decentralized internet. PiperChat dissolved soon after and the rest of the team joined Richard’s new project. The next obstacle: securing the patent to the peer-to-peer network Richard dreamed of, which, unfortunately, belonged to Gavin Belson. Gavin and Richard embarked on an unlikely partnership, but it didn’t last long – Belson went to Tibet to find himself, and gave Richard full ownership of the patent. With Gavin off in Tibet, Richard turned to customers for funding. Pied Piper landed a data storage deal with Fiduciated General Insurance and launched Space Saver, an app to maximize mobile storage that would help build out the Pied Piper network of devices. Space Saver made it onto the Hooli App Store’s Top 500 (utilities, sub-group mobile, sub-group storage), and FGI’s data was stored on a sufficient number of “devices.” This feat proved the viability of Richard’s new internet and earned Pied Piper funding from Bream-Hall to start building. The journey to create a decentralized internet has just begun. Keep an eye on Jared Dunn’s blog for updates on the team’s groundbreaking project. 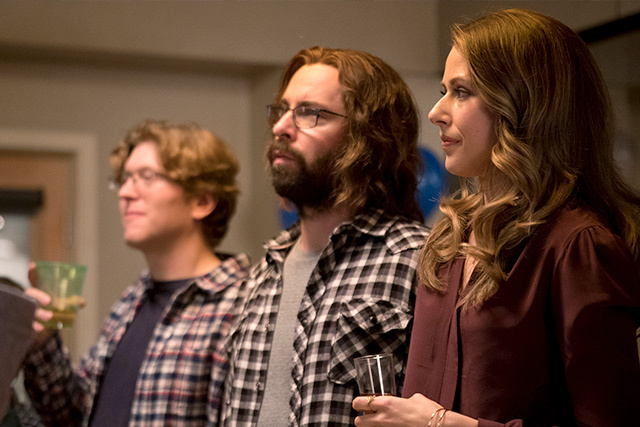 With the backing of Gregory’s fund Raviga, Hendricks assembled his team: Dinesh Chugtai, Bertram Gilfoyle, and Jared Dunn, all working together out of Erlich Bachman’s incubator. The company’s first great test came at TechCrunch Disrupt. After a challenge from Hooli’s compression competitor Nucleus,Richard pulled an all-nighter to invent a new approach to compression: middle-out. In the finals of the competition, Richard’s middle-out algorithm surpassed the theoretical limit and achieved the highest Weissman score ever recorded. Pied Piper took first place at Disrupt. After a string of failed deals with energy drink Homicide and adult content producer Intersite, a condor egg live stream changed everything. The feed of the egg went viral when a camera technician fell forty feet into a ravine, and Pied Piper’s durability under the traffic proved the strength of the strength of the tech. The good news seemed to continue from there: Pied Piper defeated Gavin’s frivolous lawsuit, and Raviga’s new head VC Laurie Bream bought Hanneman out of Pied Piper. But the celebration didn’t last long – Bream swiftly used her power to remove Richard from his position as CEO. 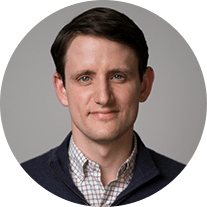 Richard was repositioned to CTO, and was replaced by exec-for-hire “Action” Jack Barker. After an unsuccessful attempt to pivot Pied Piper to building data storage boxes, Barker too fell to Laurie’s axe, and Richard was restored to the CEO chair. Like any great revolution in history, the decentralized internet deserves a thundering manifesto that declaws the powers that be. However, my CEO Richard Hendricks observed that a lighter primer on the benefits of our network might be a better course of action. Ever so wise, Richard! So I reached into my literary toolbox and pulled out my third favorite figure of speech: the metaphor! Let’s pretend we’re in a town, and the local library is the Internet: a centralized repository of information. At first glance, it may seem an adequate institution, but there are still perils and flaws. Lost books, tracked lending patterns, a narrow view of the Young Adult genre’s broader appeal. It’s time for a change. What if our town had a completely decentralized library system? That’s Pipernet! Let’s walk through how our game-changing decentralized network would solve each of the internet’s key problems and make the world a far better place. Our decentralized internet would allow users to anonymously store and exchange information without any intermediary. It would enable a safer, faster, more private, and completely autonomous online experience. Wondrous, isn’t it? Coming Soon To A Device Near You! If you’ve made it this far, congratulations are in order! At last you can rest easy knowing soon our new internet will launch for all to use. Until then, watch for weekly updates on my company blog. Pied Piper is a startup building the internet of the future. Today’s Web is riddled with corporate trappings, privacy violations, and security flaws which leave you, the netizen, vulnerable. By rebuilding the Web from the infrastructure up, our new decentralized internet will create a faster, cheaper, safer and more private online experience. Why did you name your company after a predatory flautist? The name prevailed, as undesirable names often do. I can tell you with confidence that Richard Hendricks is our man to land us there due in no small part to his technical understanding of distributed systems, but also his childlike gusto for astronomy. PiedPiperCoin is the cryptocurrency powering the economy of Pied Piper’s decentralized internet. You can purchase PiedPiperCoin, earn it from our app publishers for using their services, or earn it by sharing your device’s storage, compute and networking resources. For more on the benefits of cryptocurrencies, see our Chief Systems Architect Bertram Gilfoyle’s pitch deck on the subject. What does a PiedPiperCoin look like? Because PiedPiperCoin is in fact a digital currency and thus will never be printed, I request that you draw upon your wildest interpretation, dear inquirer! I personally like to imagine PiedPiperCoin as a chit adorned with Richard Hendricks’ face the moment he realized we’d won TechCrunch Disrupt. The irony of decorating a currency with a moment so priceless is not soon lost on me! Should my friends and I pump and dump this sh*tcoin? First, allow me to say that PiedPiperCoin is certainly not a sh*tcoin. We are a legitimate, venture-backed LLC with good intentions and admirable aspirations, if I may say so. Not to mention, PiedPiperCoin already has a unique functionality suite, unlike other so-called “altcoins” out there. Second, I speak on behalf of my fellow Pipers in saying we’d love for you to “pump” our PiedPiperCoin, but please do not follow it with a methodical “dump!” In fact, if your sole intention is to “dump,” we’d rather you not “pump” at all. What can I do with PiedPiperCoin? Or, you could convert your PiedPiperCoin into good ol’ fashioned fiat money — but why would you want to do that? I don’t have traditional assets, but I’m definitely accredited. Can I still invest? Can I buy drugs with PPC? OR How do I report drug activity linked to PPC? Our lawyer Pete Monahan will have more information for you on both matters. Will buying PiedPiperCoin make me very rich? We are legally unable to address this matter, but we can guarantee that any purchase of PiedPiperCoin will leave you rich with spirit knowing you are making the world a better place one distributed render at a time. Jian-Yang, if you’re reading this, we hope this answers your question. Please stop emailing our employees. What do I tell my tax guy? He vivido en Puerto Rico por más de 183 días. Will my dad be mad at me for buying PiedPiperCoin? If you have a dad who loves being on the cutting-edge, believes in the power of technology, and trusts his child to spend his or her own savings wisely, then he most certainly won’t be upset with a hearty purchase of PiedPiperCoin! What is decentralization and why should I care? We thought you’d never ask! Check out this guide to all things decentralization and how our new internet will positively impact our planet. Why should I use your decentralized apps over the ones already on my phone? By building their apps specifically for Pied Piper’s decentralized internet, our developers are able to offer you incentives (like free PiedPiperCoin) just for using their services. For example, reviewing a restaurant, buying a movie ticket, or watching a piece of content could reward you. That’s because our new internet views you as a loyal customer, not a product to sell to advertisers. 1. Proliferation of Fake News — In a decentralized news feed, you’ll be able to track an article all the way to its source in order to verify its credibility. For example, see a statistic you can’t believe? Now that stat will have a tamper-proof link to its source. 2. Identity Theft — Personal identifiers like your name, credit card information, and social security number will no longer be required to log into apps. Rather, you’ll use a randomly generated blockchain ID to identify yourself, thus leaving you protected from thieves trying to impersonate you online. For example, rather than logging into your mobile payment app with your name and credit card information (data which hackers can easily steal when a breach occurs), you’ll sign in with your anonymous ID which only you know. 3. Sending Money — At Pied Piper, we don’t believe you need to go through a bank just to pay your friend Gloria back for that fro-yo you shared. Rather, you’ll be able to send money faster than ever using an immutable public ledger known as the blockchain. If you’re still not convinced, all of our decentralized apps are also faster, safer, and more reliable than the ones you’re currently using. Huzzah! What are the benefits of an immutable public ledger? We use a ledger to keep everyone’s devices in perfect harmony, but also to enable users to communicate and transact with others all over the world. Because no one entity controls this ledger, there’s no barriers or firewalls between you and who you want to interact with. Will Pied Piper developers be able to sell my data to advertisers? Our new internet is built upon the principle that netizens, not multinational conglomerates, should own all their data. What does "owning" your own data even mean? Owning your data means being in control of its distribution. On our new internet, you and you alone decide who has access to your personal information. Will anybody be able to see my browsing history on Pied Piper’s decentralized internet (asking for a friend)? Allow me to answer your question with a question! If you go bird-watching alone in a forest, will anybody know what birds you’ve seen? Unless it’s the forest in rear of Uncle Jerry’s house, the answer is of course no! Today’s Web allows your ISPs and many others to look over your shoulder while you browse online, but on our internet, only you and your conscience will know what websites you visit.